We had a crazy anniversary weekend. 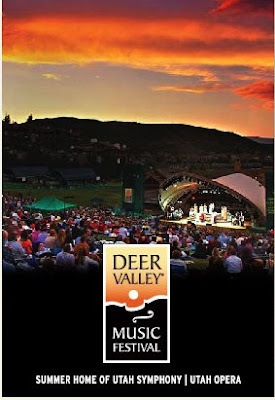 On the 15th, Brian was engaged to sing with the Utah Symphony and the Mormon Tabernacle Choir in the penultimate night of the Deer Valley Music Festival. He sang the tenor solo in Gustav Holst’s Psalm 86 and did a beautiful job, despite having a cold that had moved into his chest. 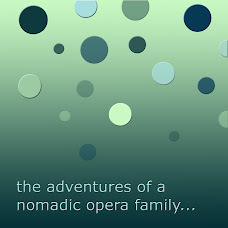 It was a great program, and since it was our anniversary weekend, we rented a condo in Park City that evening. This was our anniversary gift that we technically did not have money for as we are in creative finance mode until Brian’s next big gig in October. Since baby Jane is so young and nursing, we knew we would have to bring her and I thought it would be fun to have a family get-away with Colin too. The condo’s website was a little misleading with photos much grander on-line than they were in person, but that is not too surprising. There were lots of Russian books in the condo and kind of strange bunny art, but it was fun, and funny. Colin refused to go to bed for the babysitter and did not settle down until about 11:30 pm. The next morning we intended to go for a family swim but since it was a little chilly we just stayed in the hot tub (with Jane asleep in her car seat close enough to always be watched but not close enough to get wet). We walked around Main Street with Colin on his monkey harness and Jane asleep in her sling. Colin loved riding the Trolley, which he insisted was a school bus. He was quite the little window shopper and was anxious to go up on the ski lifts. He would probably do fine but I am not ready to take a lively toddler on a ski lift. We considered getting some lunch but I was not up to keeping sleepy Colin happy and in a chair at a restaurant. And so it went. Brian and I got suckered into a “listen to an hour presentation for a free night’s stay” that we may do without Colin as another part of our anniversary another day. Needless to say, I could not be more happy that I married Brian and enjoy our crazy life together. He is a great husband and father and we are very lucky to have him for many, many more years. Since we did not take photos this weekend, here are some from five years ago. . . 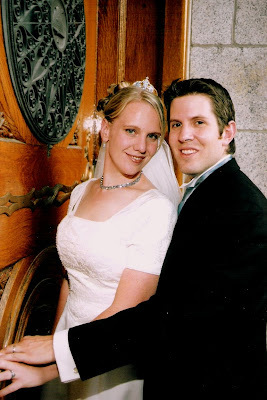 Looking at photos this morning, Brian tried to give me a compliment about how thin I am in our wedding pictures. The compliment kind of made me tear up and moody. Oh well. We are in a reproductive phase and my baby is quite young. I will not dwell here. Also while looking at these photos today, Colin ripped off the cover to one album, leaving it totally ruined. Thanks Colin, guess we are getting a new album. 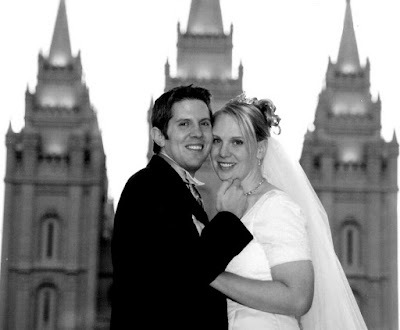 We were married in the Salt Lake Temple, along with about 60 other couples that day (not 60 couples in one ceremony. We had our own. 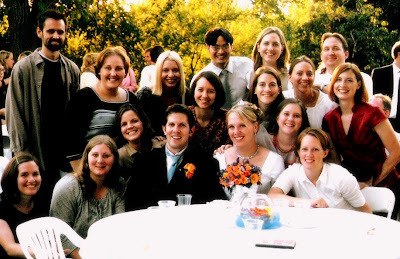 August is just a busy time for weddings in Utah.) It was a beautiful ceremony, short and sweet, performed by my Dad's cousin Marvin Thayne (Emma Lou's husband for anyone who knows her great writing). Happy Anniversary! ANd great job on your two best productions! I'm confused... I was actually still living in Ephraim in 2003. I didn't even know you got married in Utah. What a bummer! CAROLYN! How in the world did I not get a wedding invitation to you???? I am so sorry and thought I had. I know I got yours, even when we were living in Indiana. I know you were on my list. I think I still have some extra ones I could send you. I feel really bad. Really, really bad. Of course you were invited, even if you did not know it. SO SORRY!! Its all good, Ann. Its possible that you sent the invtation and all the turkeys in San Pete ate it. Who knows?